Hannah Holgersson takes part of the a cappella concert with the Eric Ericson Chamber Choir at the Stockholm Concert Hall, conducted by Patrik Ringborg. 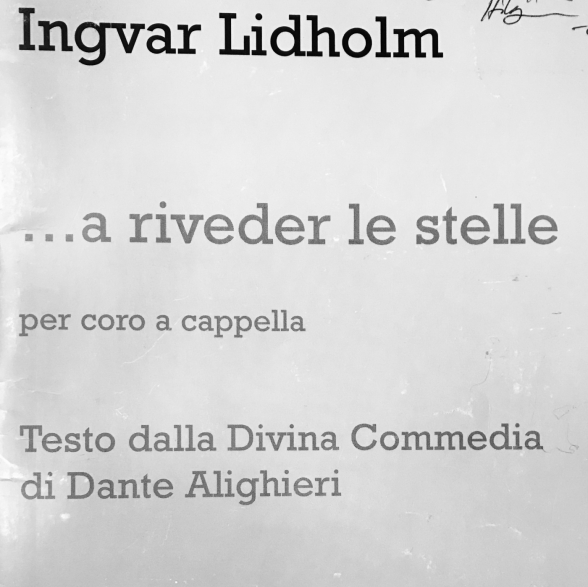 Hannah will sing the masterpiece by Ingvar Lidholm; ...a riveder le stelle. Ingvar Lidholm (24 February 1921 - 17 October 2017), in memoriam.